In summary: San Jose de Calasanz School provides primary and secondary education, and vocational training for young adults. Each educational stage includes the development and assessment of transversal entrepreneurial competences and the School, through a project called “Emprender para aprender”, models best practice in project-based training in this subject area. Age group: Compulsory education (12-16 years) and vocational training (>16 years). Initial challenges: As a vocational school,, San Jose de Calasanz are in direct contact with nearby enterprises and, through the relationships developed, have identified he need to develop transversal competences with their students to promote successful future employment. The school is committed to entrepreneurship programmes as being the key in developing an entrepreneurial spirit, combined with transformed learning and teaching methodologies, assessment systems and facilities. What they did about it: Using entrepreneurial education as a guiding principle, active learning and teaching methodologies have been incorporated into all educational stages within the School. Students’ entrepreneurial competences are assessed and graded by both teachers and through peer-assessment and contribute up to 25% of the final grade. Students take part in multiple entrepreneurship programmes and activities including: creating ideas; recognising business opportunities; creating companies; and managing and taking part in entrepreneurship fairs. Teaching staff have received intensive training in methodologies associated with the development and assessment of entrepreneurial skills and the School has developed digital tools that facilitate the assessment and monitoring of the students’ learning process. Results: After adapting to several changes, the learning system of the school has been transformed entirely, especially now that it is based on the assessment of competences developed and demonstrated by the students. The motivation of students has increased substantially, and tools and materials have been created in order to support project-based education and learning. The school has received much external appreciation due to various projects developed by students and teachers. Relevance for entrepreneurial teaching: Student and teachers’ satisfaction, motivation, self-confidence and entrepreneurial competences have been shown to have increased significantly through the learning and teaching approach adopted and the involvement of external enterprises. 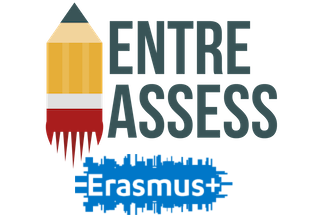 Method and applied assessment tools: The “Emprender para aprender” project applies the SET (by TEKNIKA) assessment tool, which allows more personalised assessment and monitoring.